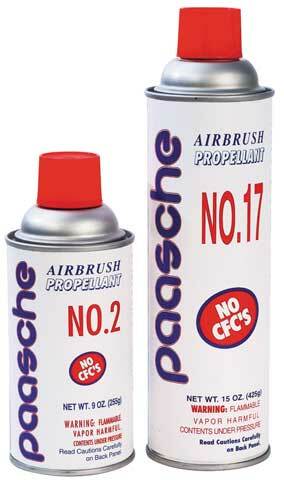 These popular, portable and disposable cans of air propellant contain an air propellant blend that does not contain ozone-deteriorating CFCs. They provide pressure for a short period of time and are recommended when electricity is not readily available. To control the air volume from the unit to the airbrush an additional 3B pressure tank valve is needed.